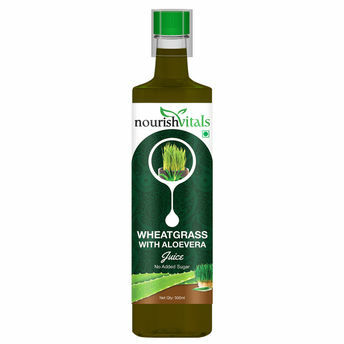 NourishVitals Wheatgrass and Aloe Vera juice is a powerful, raw food that has been derived from the Wheatgrass and Aloe Vera plant. It helps neutralize toxins and environmental pollutants in the body. Wheatgrass juice provides a good amount of all minerals and vitamins A, B-Complex, C, E, l and K. It contains up to 70% chlorophyll, which is an important blood builder. Wheatgrass juice is a superior detoxification agent compared to carrot juice and other fruits and vegetables. And finally by taking wheatgrass juice, one may feel an increase in strength and endurance, renewed health and spirituality, and experience an overall sense of well-being. It acts as antibacterial and can be used inside and outside the body as a natural healer. Aloe Vera juice is crammed full of amino acids, vitamins and minerals making it one of nature's most effective cleansers. It can help strengthen digestion and rid the body of any nasty waste, thus detoxifying the body naturally. 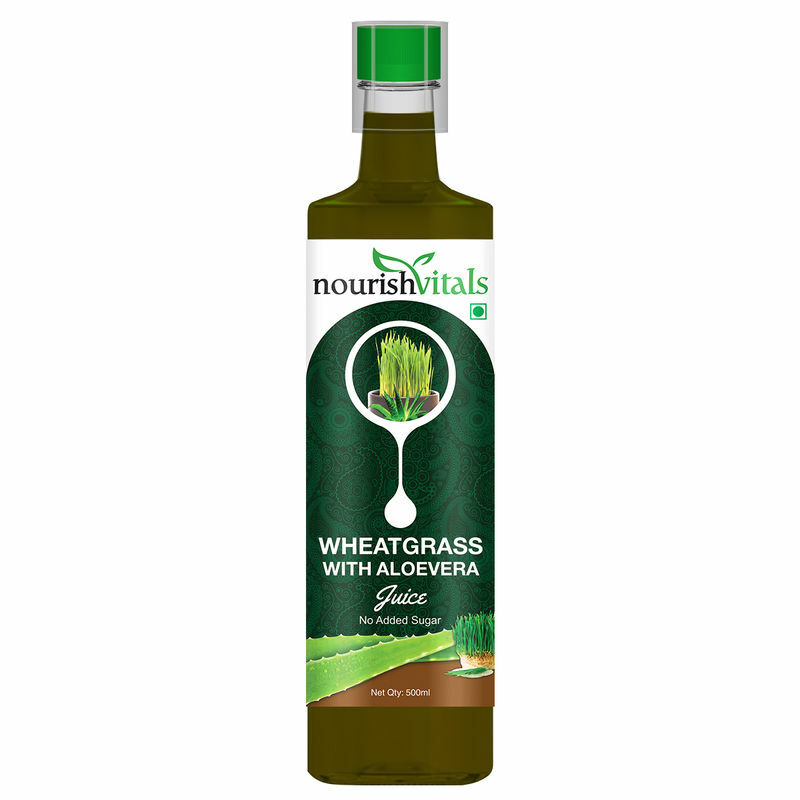 NourishVitals Wheat Grass with Aloevera Juice is Manufactured using farm fresh Wheat Grass in a GMP and ISO 22000 Certified Facility. Wheatgrass and Aloe Vera juice is a superior detoxifier and is known to maintain youthful health and beauty. Helps in cleansing & detoxifying the body & helps purify the blood. It helps neutralize toxins and environmental pollutants in the body. Additional Information: Nourish Vitals offers pure and healthy dietary and wellness products, which help you lead a healthy and fit lifestyle. They are committed to being a trustworthy and innovative global leader company, providing genuine products made from the highest quality ingredients.